Kat has been an integral part of the development of footy in the the US for both women and men. She founded the Minnesota Freeze Football Club and has been a player since 2003. 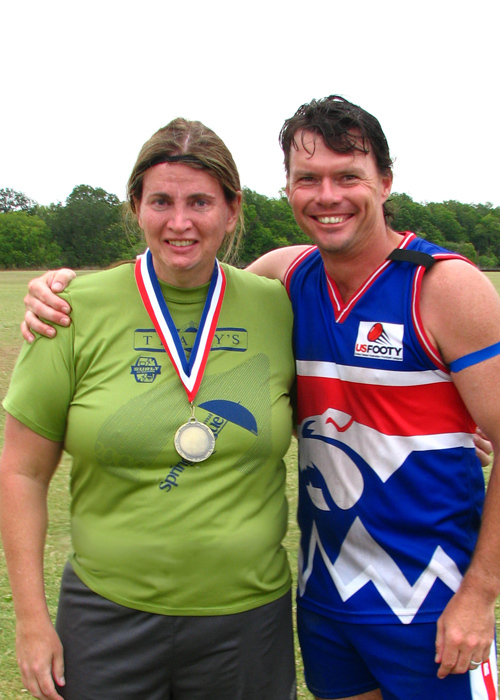 She was the leading driver behind the current day women's competition in the USAFL and was responsible for making the women's division a part of the USAFL Nationals. Kat represented the USA Freedom at all events since the teams inception up to and including the 2011 International Cup and has played more than 100 games in her footy career. 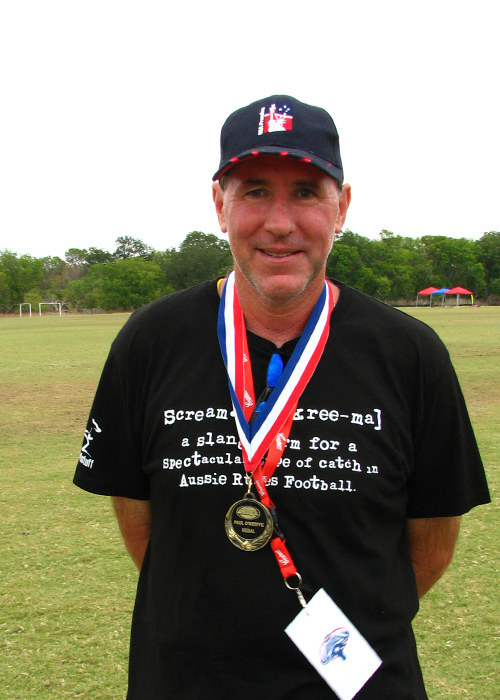 Leigh served as USAFL Vice President West from 2008-2010. Leigh is the founding President of the Golden Gate Australian Football League, 2005 Division II champions, and has played over 400 games of football in his lifetime, including being a representative of both Tasmania and Queensland where he played and coached. 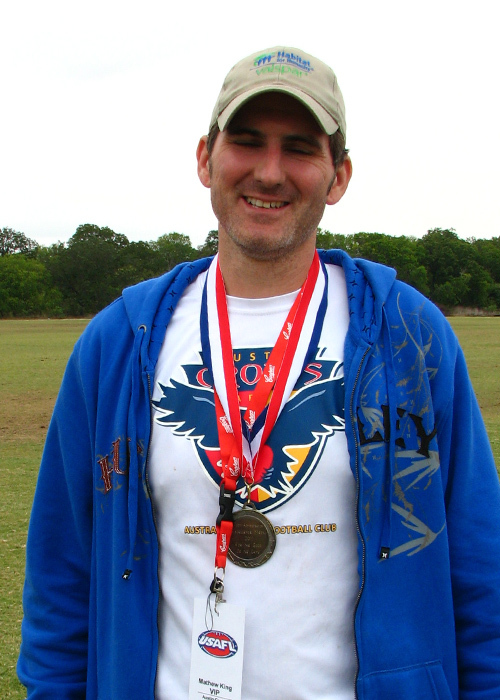 Mat has served as the President of the Austin Crows for a number of years. He played a large part in the success of the 2011 Nationals in Austin, Texas.